$49.99 $29.99 40% off *Discounted price shown in red box. Pick your feather flag size. 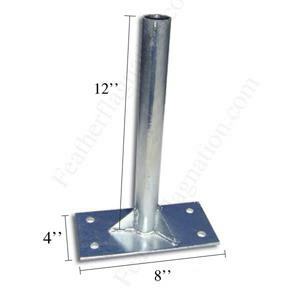 Upgrade to Premium Pole kit? For high winds or double-sided flags. Only if you plan to travel. Large mounts will not fit into bag. 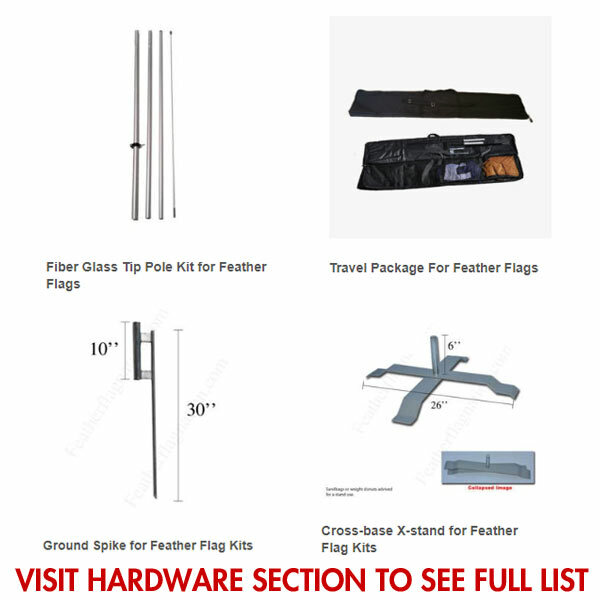 Aluminum Pole Kit for feather flag. 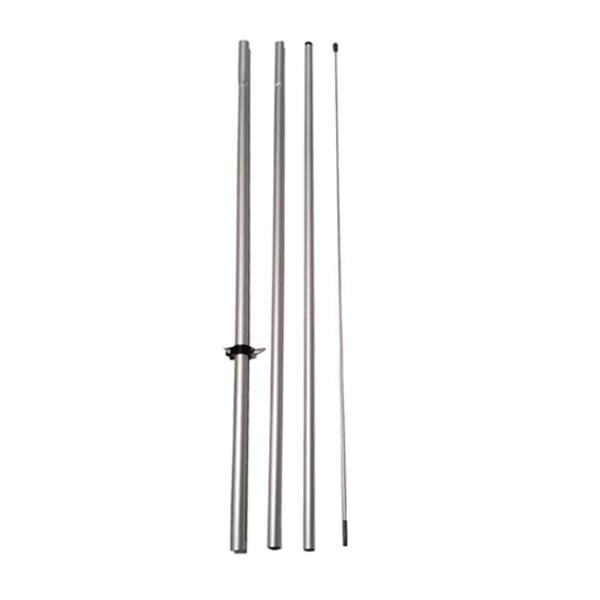 The Premium pole set is made of 100% pure aluminum and has no recycled aluminum unlike competitors. 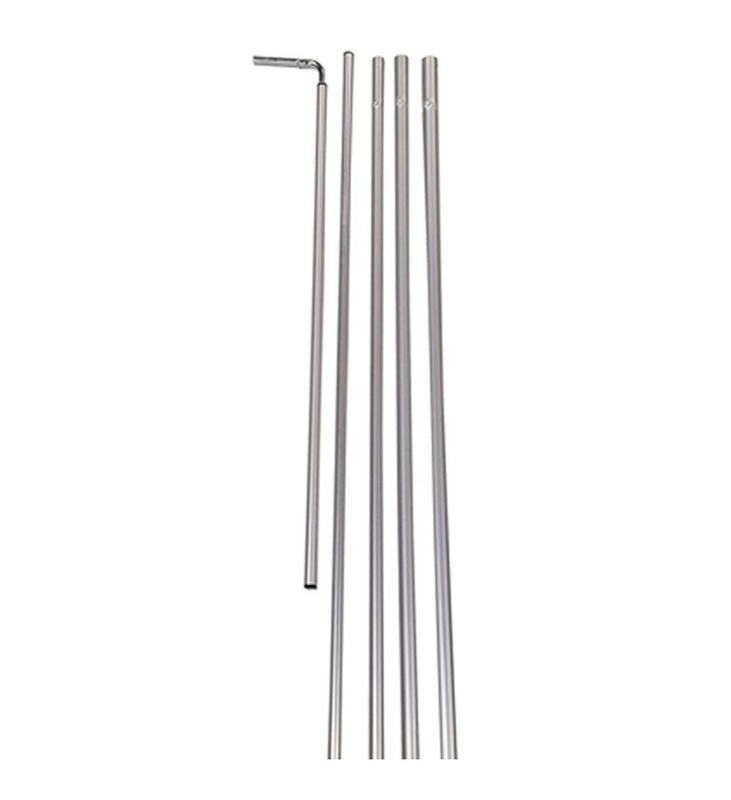 This pole set has four straight pole pieces with the top piece being an elbow joint to make the upside down “L” shape to hold up the flag. 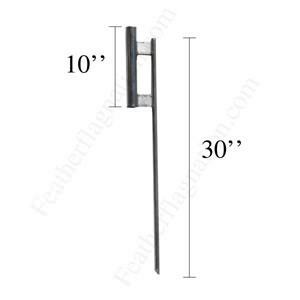 Recommend for our stock and custom rectangle banner flags. 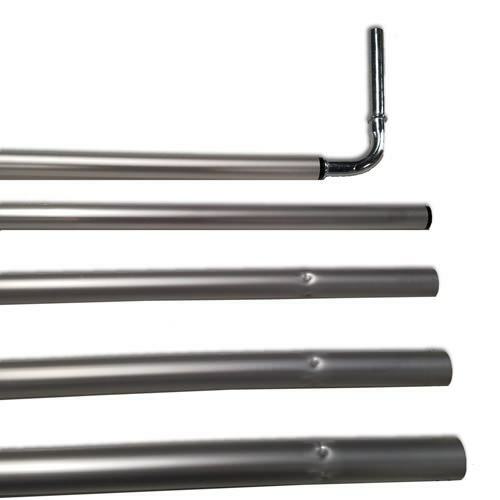 Easy to assemble and the pole pieces break down into smaller telescopic pieces for easy storage.